For many entrepreneurs online, how to actually accept money from customers almost comes as an afterthought. 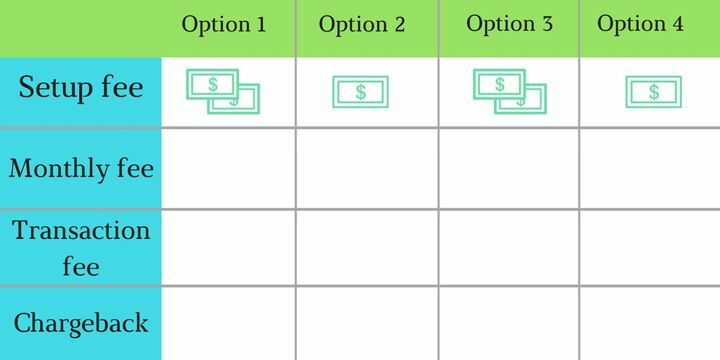 How to select a payment processor then becomes an especially hard question. While every business is different and it is essential to differentiate yourself in the marketplace, the decision of how to accept your customer’s money can make or break your online business. Online stores are similar to brick-and-mortar stores, which are built around signs, showrooms and staff. When someone sees a sign, they come, they look around, and your staff helps them find what they need. The salesperson may answer questions, make suggestions, and bring them to the cash register to pay for the product. If the customer wants to pay with cash or credit card, your staff knows how to make that process as simple as possible. If they want to apply for credit or pay with a different medium, your staff is there to guide them through it. There can easily be problems with declined credit, split sales and coupons, but the best employees know how to deal with whatever comes up and finalize the sale. All of these steps are also present in your online store, but they take electronic forms. Payment processors that replace the cashier, should be able to handle problems quickly and efficiently to ensure your business succeeds. 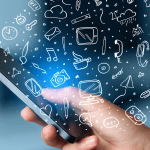 There are several examples of companies that have built businesses almost overnight by solving very simple problems in payment processing with an m-commerce solution. The Uber app wasn’t the first company to offer P2P taxi services, but it predecessors didn’t have a way to track the location of the car to ensure that they were taking the most efficient route, and then pay automatically. 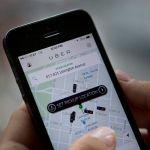 Uber ended up building much of their payment gateway from scratch to solve the payment problems that customers were having and became one of the largest success stories of this decade. Another example is Airbnb.com, which wasn’t the first to allow renters to connect with landlords for vacation properties, but they found a way for international vacationers to pay other users directly in a simple, transparent way. They are now one of the largest accommodation providers in the world. Virtually every successful business has become so by finding an easier way to move money from one place to another and making a wise choice. Payments as a service was introduced by John Biggins, who developed the “Charg-It” card in 1946. This gave birth to dedicated payment processors and set the stage for Mastercard and Visa to establish the credit card industry. Visa and Mastercard are the most popular credit card associations used in ecommerce. They do not actually transfer money from individual to individual. Instead, they act are referees in the credit card payment game, making sure that everyone follows the same rules. The four players in the game are: cardholders, merchants, issuing banks and acquiring banks. In its simplest form, issuing banks give credit to their cardholders and then collect money from the cardholder at a later date. Acquiring banks then collect money from issuing banks and send it to merchants. 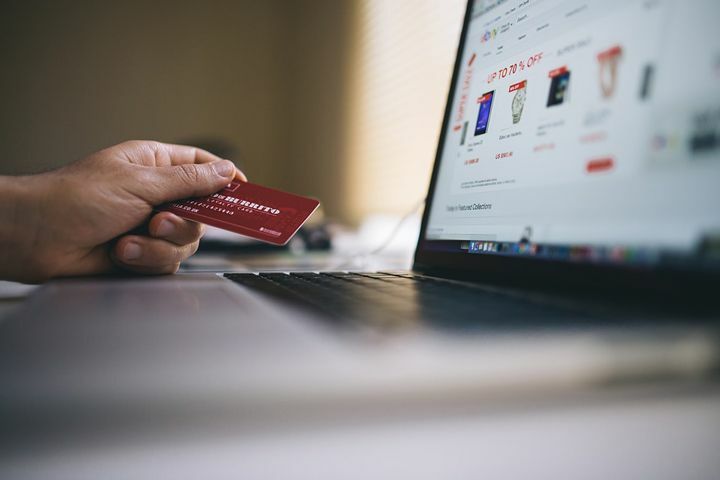 When you make a purchase online, the merchant gets authorization to make a transaction from your issuing bank at a later date, allowing the goods or services to be delivered immediately. 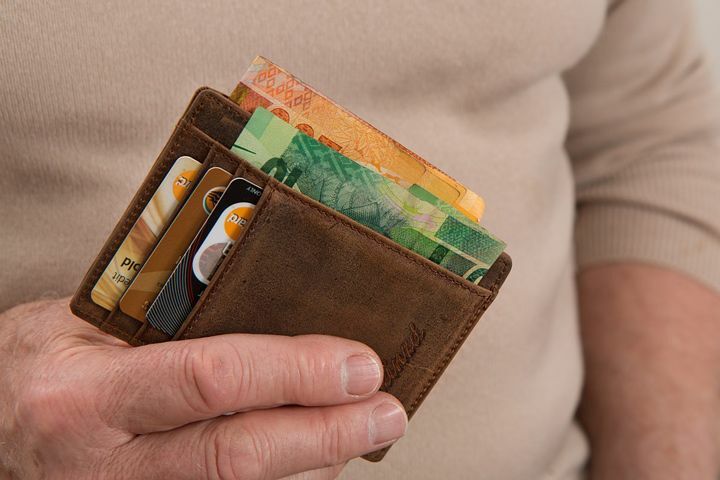 To pay for the overhead and management, a small fee is charged to each transaction. There will be more on what the fees are, and who pays them, later. Three decades on, Paypal (among others) began offering online merchant services, allowing people to send money to businesses or friends around the world as easily as handing them cash from their wallet. Since then, hundreds more companies have started offering merchant services, but they are not at all equal. Each company providing merchant services is as unique as the niche they service. The rates and fees vary based on a combination of hundreds of factors. It is mostly based on the type of business, the risk involved, whether it is retail or via the Internet, if it is merchant credit, and whether the card is physically present during the transaction. All of this is important to understand when you choose a payment processor to work with for your online business. It used to be that your sales clerk would simply ask, “cash or credit?” If the customer said something different, you dealt with it. Now payment processors have to be able to anticipate any possible combination of questions and preemptively answer them all. It is important to know which currencies you want to support when choosing the right payment processor. The currencies that your payment processor can accept funds in depends on which issuing and acquiring banks they work work with. Working with Mastercard and Visa should be a given, but doing transactions in Brazil is expensive if they don’t also work directly with local banks. Know which payment methods you want to accept and the countries you intend to operate in. For example, Payoneer lets you accept payments in almost any currency and keep it in a wallet for that currency. This means that you can choose when and how you will make a withdraw or exchange the funds. Also, many payment processors provide eWallets, such as Paypal in America and Paysbuy in Thailand. Providing these extra services and allowing direct payments not only ensures you get paid right away, it is also another way to avoid costly service fees and currency exchanges. If they provide an eWallet, does it play well with other eWallets. Some providers, such as authorize.net, allow you to pay directly from different types of eWallets, such as Apple Pay, Android Pay, Venmo, and even Coinbase (bitcoin). Since you will be the one using the service the most, make sure that the provider you choose has your best interest at heart. Do they allow you to accept phone payments or do you need a separate payment provider for that? For example, Barclays not only supports online purchases, but also in-person, phone, web, and even mail order payments through desktop and portable card machines. Can they support recurring payments and subscriptions? If you want to increase repeat sales, subscriptions are one of the best ways, and not all payment providers offer this service. Advangate is one example of a company that offers subscriptions, automated renewal notices, gift cards and even loyalty programs. It is important however, to not be too eager to approve everyone to make a purchase. Fraud is a growing problem for online businesses. How much responsibility does your provider take for authorizing fraudulent purchases? Authorize.net is known for its user-friendly interface that lets you customize anti-fraud settings more than most to avoid nasty chargebacks. Chargebacks are not the only cost to allowing fraudulent purchases. A quick Google search for “suspended PalPal account” shows how quickly PayPal will lock suspicious merchant accounts, freezing your funds. Most payment processors help prevent fraud with verification, but in the end, you are responsible for the purchases that are made through your merchant account. 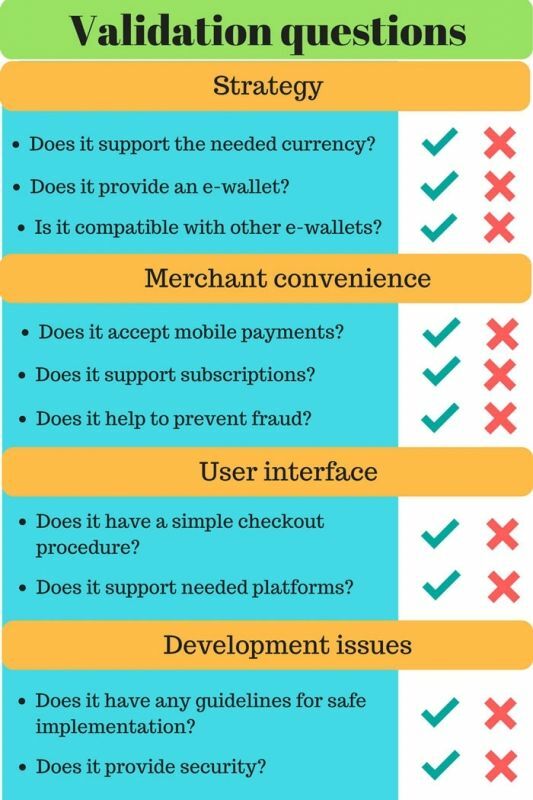 This is why it is so important when selecting the right payment processor as your ecommerce solution. The final warning in this section is also brought to you by authorize.net. One of the trade offs for using their service is that you do not own your client data, and retrieving it if you cancel can be quite difficult. This generally isn’t an issue if you stay with them forever, but if you decide to move to a different payment provider, be aware that you will have to recontact all your subscribers manually and have them sign up all over again, a process that will undoubtedly carry a heavy cost in attrition. So, be sure to ask who actually owns your client list. Checkout is the final step to complete a sale. So many online businesses bring their clients through the entire sales funnel, only to lose them on a complicated checkout procedure. Having a simple and familiar look and feel for your checkout is essential. Amazon Payments provide a familiar experience on your website to anyone who has shopped on Amazon before. Because they share their database of customers across all checkouts, they can automatically populate many clients checkout and delivery information, allowing such features as one-click purchases, even if it is the first time they have visited your particular online store. If you have repeat business across multiple devices, being able to provide a consistent experience across all platforms is a must. Shopify Payments integrates with the Shopify eCommerce payment processor’s platform, ensuring that the shopping cart and checkout look the same on any platform, whether on a computer or mobile device. Shopify, along with Stripe and others, also integrates seamlessly with other platforms on any device, such as Facebook Shop, Twitter and Pinterest. Being able to offer a product on Twitter and allowing customers to perform a one-click purchase without even exiting the app is a big plus for the few payment processor that already offer the service. If you don’t use these solutions, and you certainly don’t need to, ensure that as a minimum, your payment processor is able to authorize payments without having to leave your site. Whichever payment processor you choose, your development team will undoubtedly spend a great deal of time getting it working, keeping it working, and making sure it’s working right. There are a few decisions that can be made upfront that will make their job easier. The easiest solution from a developer standpoint is an integrated, cross-platform m-commerce solution. The mantra of any development team is, “with enough time and money, anything is possible.” While it is possible to get Amazon Payments working with a Solidus store, it would require the integration to be coded individually for each platform, PC, Mac, Android, Iphone, etc. If you can choose an integrated solution like the Shopify example we gave earlier, everyone involved, from the developer to the client who is trying to find the buy button, will thank you. Not only does every step that needs to be customized add a layer of complexity, it also increases the risk of mistakes — critical or otherwise. The worst kinds of errors, are security holes. Even the largest companies in the world are not completely safe from professional hackers and casual opportunists. Some payment providers store your client data and credit card information for you, so that you never have to access it, store it and protect it. Others simply process the data that you collect and send to them. Knowing upfront which route you want to take and developing your solution accordingly will save you development time and allow you to allocate your resources accordingly. Most payment processors will provide guidelines about how to implement their solutions securely. 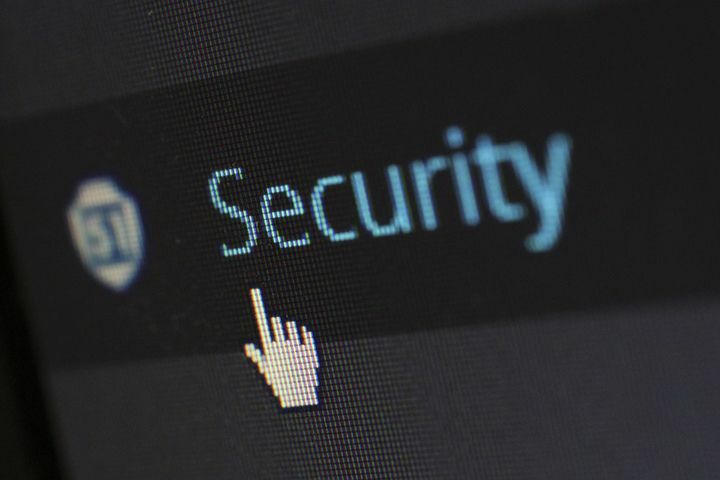 Making yourself familiar with the Payment Card Industry Data Security Standard (PCI DSS) is essential to ensuring that you do not become another headline of a breached business. We made a checklist for you. You can use it to check, if the payment processor you are considering is corresponding to all criteria. Whenever money changes hands, someone gets paid. This is especially true of payments as a service. While it would take far too long to give even a tertiary look at all the ways that payment processors collect their dues, we will look at the general ways that you pay for their services. If you sign a contract with World Pay, you can expect to pay $50-$95 just to set up your account and another $100 — $395 if you cancel early, depending on how your account was set up. In return you get lower transactions fees, which can be more than worth it in the long run. Many payment processors, such as PayPal and Swipe, have already paid to get their merchant account with Mastercard and Visa, and allow you to use their merchant account. 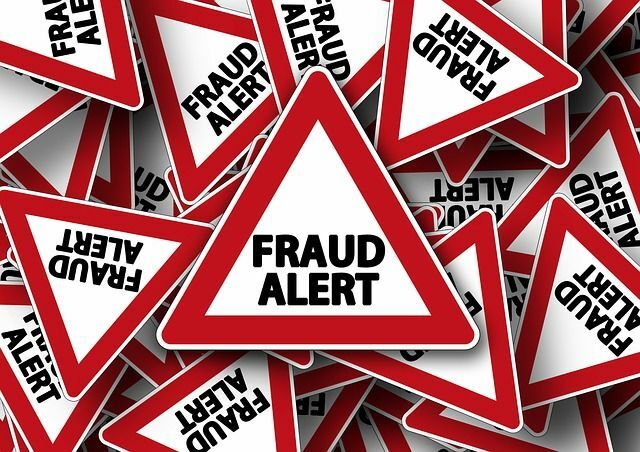 Because they are taking on the extra risk of you making some bogus claims and disappearing, they charge a higher fee than they pay to the credit card companies or other payment processors. There are a lot of advantages to both routes. 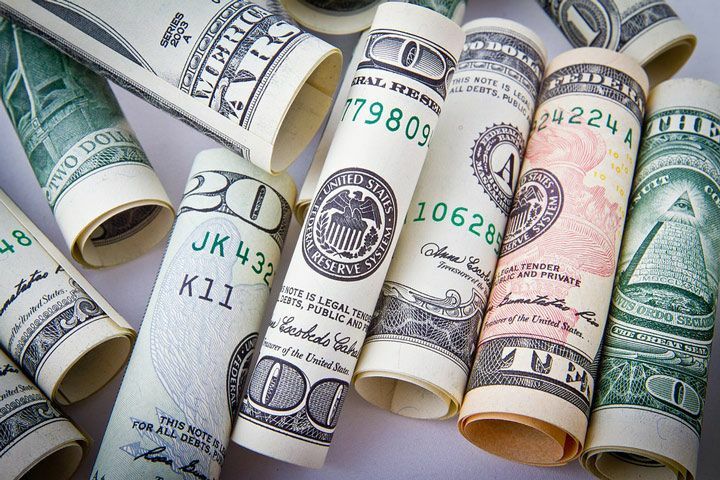 In either case, if you have bad credit, or no credit in the country you intend to operate in, you are able to lean on the credit of your payment processor. Especially if the number of your transactions are low, or your business is new, you can save a lot of time and money at the beginning by not signing a contract. As your sales increase, you can always negotiate a better price with your provider for mutual benefit. Airbnb and Uber that we discussed earlier, both still use the payment processor Braintree, even though they process billions of dollars annually. Some payment processors charge a monthly fee and others don’t. 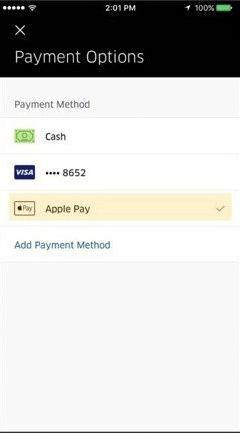 PayPal, for example, offers basic online merchant services for free, but charges a monthly fee of $35 if you want to be able to take orders over the phone or through a POS device. Since most people are able to get what they want from processors that do not charge a monthly fee, if you are paying for it, make sure that you are getting extra services that you are actually using. This is the number that most people pay the most attention when choosing a payment processor. There is often a flat fee and a percentage fee on each transaction. Typically these hover around $0.30 per transaction, and 2.9% on the total purchase amount. These numbers can fluctuate widely depending on your industry, your annual transactions, and over one hundred other criteria. Since this is a straight numbers game, doing the calculations based on the number and total amount the transactions you plan to make, can let you guestimate these figures fairly closely and adjust accordingly. As much as every merchant hates chargebacks, there is no way to avoid them. A chargeback happens when the cardholder contests the charge and instructs the issuing bank to not pay the acquiring bank. They need to provide a valid reason for doing this, such as the goods were not delivered as promised, fraud was committed or the cardholder doesn’t recognize the transaction. Not only do chargebacks force you to forfeit the value of the chargeback, but they can come with heavy fines and penalties, including suspension of your merchant account. Typically chargeback fees are $15-$25 each, but the time cost of the chargeback is often more damaging. When it comes time to find a payment processor, it is good to have someone with the experience to anticipate your needs and provide a solution that will not only solve your problems today, but will be able to grow with your business and provide a consistent and smooth experience for your customers. Your payment processor will be responsible for accepting all the money that comes into your business and should be treated with the same consideration as your most valuable employees. By working with the right companies, you will ensure that your customers have an experience that they want to repeat over and over. And that is something you can bank on. 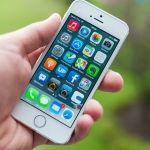 How Much Does It Cost to Create a Social Media App?